To make a contribution to the economic development in Laos and reduce risks related to funds own keeping, ACLEDA Bank Lao developed a deposit service, Individual Retirement Account, that the bank is responsible for maintaining, administering, and arranging the funds deposited into the account by the account holder or third party for the expenses after his/her retirement. 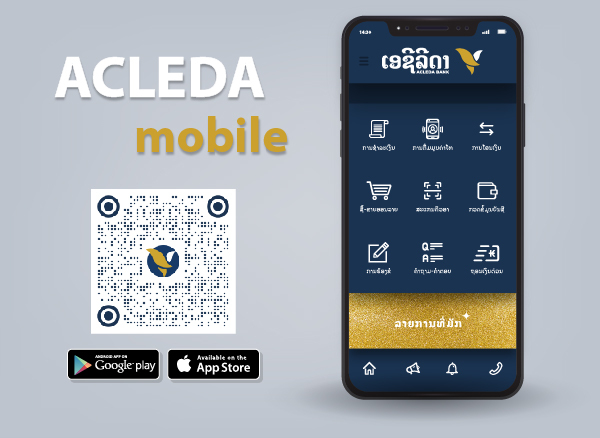 ACLEDA Bank Lao offers an Individual Retirement Account in Lao Kip. Individual Retirement Account is required to have an initial deposit and minimum balance of LAK200,000. The interest rate of Individual Retirement Account is 7.50% per annum. Note: Please contact our officer at ACLEDA Bank Lao's branch for details.